AIAS > News > Uncategorized > Declare Your Projects! Over the past year, we have seen the Freedom By Design Program go through some rigorous changes, from a broader scope to a new logo, and there are more changes yet to come! The Freedom By Design Advisory Group is here to support you and your local chapter’s FBD program. Starting next month, a member of the FBDAG will be reaching out to FBD Directors by quad and establishing FBD Pods. These Pods will be information and discussion based. Some of the info you will be hearing about includes the process of declaring a project, how to apply for an NCARB grant, and where to find forms and waivers. Be on the lookout for communication from the FBDAG. In the meantime, the first deadline to apply for an NCARB Grant is October 15th. To apply for a grant, simply select YES in the last question on the Declare Your Project Page and one will be sent to your director. 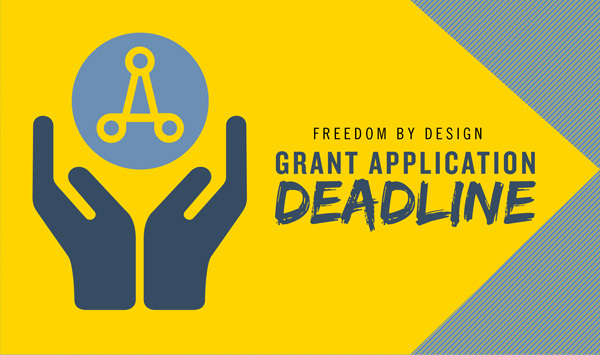 Declaring your project is the first step to establishing a successful Freedom By Design program. We are excited to see what projects are being accomplished this year! Thanks from everyone on the Freedom By Design Advisory Group!